Three years ago, figure skating Olympian Paul Wylie overcame a substantial disadvantage and survived Sudden Cardiac Arrest, thanks to immediate CPR from one of his workout buddies. To help save more lives, the Sudden Cardiac Arrest Foundation urges the public to commit to learn CPR now, during Heart Month. As an Olympic silver medalist, I can think of no more important role than to save someone else's life. Sudden Cardiac Arrest (SCA) is the third leading cause of death in the U.S., according to the Institute of Medicine. The life-threatening emergency occurs when the heart unexpectedly stops beating. According to the latest statistics from the American Heart Association, SCA affects more than 356,000 people of all ages outside hospitals each year in the U.S., and nearly 90 percent of cases are fatal. Because survival from cardiac arrest is still relatively uncommon, stories of survival frequently make the news. 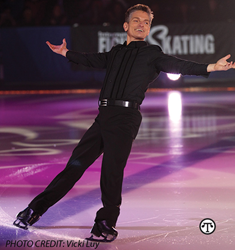 One such story is that of Paul Wylie, an Olympic skater, who won the silver medal in men’s figure skating at the 1992 Winter Olympic Games. Wylie is now a commentator on figure skating at the XXIII Winter Olympics in Pyeongchang, South Korea. In Wylie's case, as in so many other stories of survival, immediate bystander care made the difference between life and death. While, on average, only one in 10 victims of sudden cardiac arrest survives, bystanders can double or triple a person’s chance of survival by giving CPR immediately. The Sudden Cardiac Arrest Foundation urges the public to commit to learn CPR now, during Heart Month. 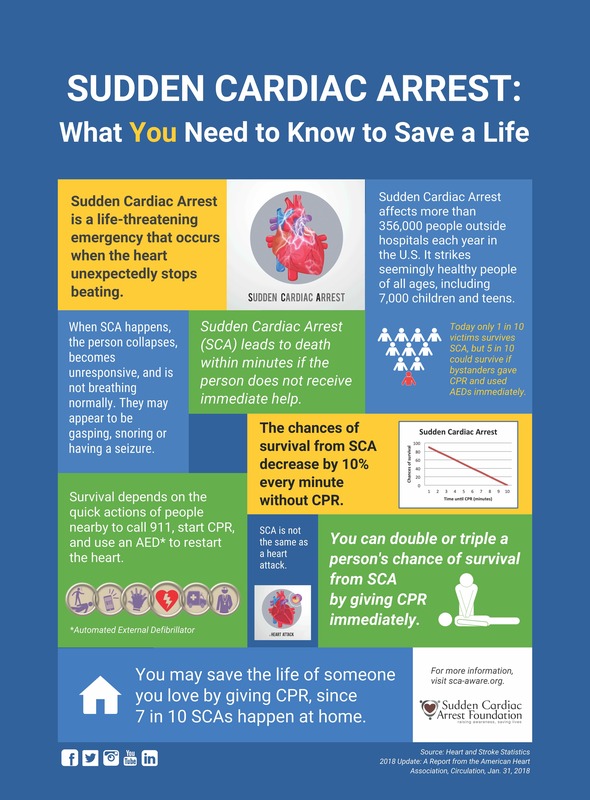 For an infographic on Sudden Cardiac Arrest, see attachment. The Sudden Cardiac Arrest Foundation is a national community benefit 501(c)(3) organization dedicated to raising awareness about sudden cardiac arrest and saving lives. Programs include educational campaigns for schools and colleges, the Sudden Cardiac Arrest Network, an online community that provides peer support and opportunities for survivors and family members affected by cardiac arrest, and public awareness research.